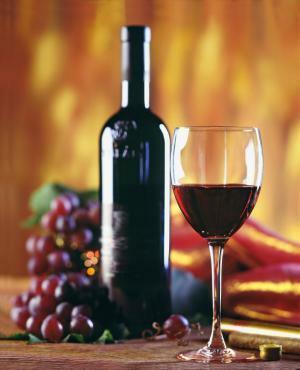 "Resveratrol Can Make Life Extension Possible Without Calorie Restriction!" Health articles have stated that resveratrol has shown in laboratory and animal studies that it is a chemical compound which leads to life extension and reverses aging. Dr Sanjay Gupta's book, Chasing Life, reports that the chemical has shown antioxidant, anti inflammatory, and artery friendly properties in lab and animal studies. The benefits of resveratrol include the inhibition of many forms of cancer within the body as well as a 60 percent increase in life extension. What makes this so incredible is that it shows similar results to calorie restriction, which have been showning astounding ways to reach the fountain of youth. Although the chemical has shown a 60 percent increase in life extension in lab studies of animals such as yeasts, flies, and nematodes, it has yet to be universally accepted as a definite anti aging secret for humans. Depending on the health articles and whoever publishes them, the benefits of this chemical have shown that consuming healthy foods that are high in this compound is a must for any anti aging program. Humans that are on a calorie restriction diet have shown that they can increase their lifespan by many youthful years. Studies done on rats have shown that when calories are cut by a third, the rats can live a third longer than normal. So how can we achieve life extension if we're unable to cut a third of our calories? Hint: the chemical is naturally occuring, and is associated commonly with red wine (No, it's not alcohol, lol). The human heart and arteries have shown rejuvenation when studied by medical researchers, according to anti aging research. Health articles are claiming the benefits of the compound as the next anti aging drug to watch out for. But I don't think that that is an accurate assessment. I don't agree with that because it is not an anti aging drug. So what is resveratrol if it's not an anti aging drug? It is a chemical compound which gives red wine its red color and is naturally occuring in many super foods. Since it is a naturally occuring organic compound, we cannot classify it as a drug. The interesting thing is that it was discovered when people began to wonder why the French people had low levels of heart disease despite the fact that they consumed a high fat diet and smoked quite often. But the fact that they also consume lots of wine (most notably red wine), made for a phenomenon called the French Paradox. Was there a connection between the wine and their healthy hearts? Anti aging researchers believes so. Since resveratrol is found in red grapes, concord graped, blueberries, acai berries, goji berries, red grape juice, cranberries, peanuts, ALL WINES (although red wine has more of the compound than other wines), and various other berries. Consuming these super foods is a great way to prevent aging and cancer in many cases. Other degenerative diseases such as Alzheimer's and high blood pressure are also able to be reversed by this wonder chemical, according to numerous health articles and recent anti aging research. Please be advised that red wine has very small amounts of the chemical; you would have to drink about 180 bottles of red wine to get a sufficient amount of it. The best way to get a sufficient amount of resveratrol is probably by taking it in supplemental form. The recommended daily allowance of it varies depending on the health articles published but 500 milligrams is what many folks agree is ample. Dr Oz and Dr Sanjay Gupta are both well known doctors who have touted the many benefits of resveratrol as it pertains to life extension and the search for immortality. However, they've also stated that much more research will need to be done before we can consider it a bonafide path to the fountain of youth. The results of labs studies, however, have shown astounding benefits though. Therefore, the future of this chemical looks quite promising. Resveratrol isn't the only option for one to achieve life extension easily; there are so many ways to achieve immortality through a complete anti aging system! A family of genes called sirtuins has gained lots of attention in recent years due to their link to longevity and the quest for immortality. Of that family of genes, one in particular, called SIR2, has been showing some hope for humans to possibly live longer, healthier, and more youthful lives. Resveratrol has shown that it can activate SIR2. SIR stands for silent information regulator. This gene is credited with keeping diseases away from the body, thus prolonging the quantity AND quality of life. Sirtuins act as super genes that take over the body and quarantine the body's other genes (so to speak), while they keep the body healthy and youthful by releasing its survival mechanism. This brings about vitality and youth to the body. Since calorie restriction has been able to successfully release sirtuins and keep the body living in survival and healthy modes, the benefits of resveratrol have essentially proven to do the same thing except that it doesn't require one to restrict their intake of calories. As a result, life extension is possible without the restrictive diets, according to multiple health articles related to antiaging medicine. Although the compound is available as a supplement, it's considered to be quite new to the world of anti aging supplements; there is still much research that is being done on them currently. Therefore, the current recommended daily intake of the supplement is 500 mg per day, according to some health articles. It's important to do your research before you buy, as the quality of supplements is just as important as the supplements that you're taking. We will be posting a link to an excellent source of supplements very soon. In the meantime, knowing that the benefits of resveratrol are as good as calorie restriction, without the difficult task of keeping tabs of your calories is a great reason to start consuming your share of it as soon as possible!